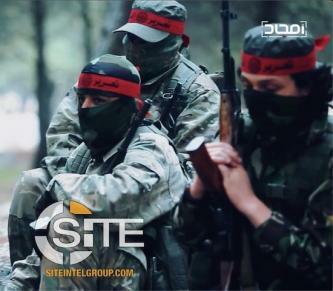 The 'Incite the Believers' Operations Room, an al-Qaeda (AQ)-aligned jihadi coalition in Syria including Hurras al-Deen, released a video promoting the role of snipers in its war with the Syrian regime. 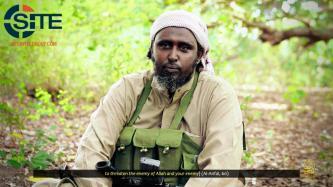 In promotion of the claim by the Islamic State (IS) for the Sri Lanka attacks, IS-linked groups and jihadi supporters have published posters, infographics, and a video, each celebrating the coordinated bombings, and one warning other countries, in particular, the United Kingdom and the whole of Europe. 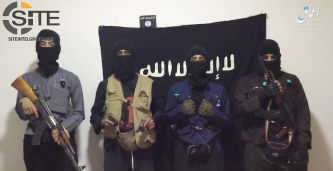 'Amaq News Agency released a video showing the Sri Lanka attackers pledging allegiance to Islamic State (IS) leader Abu Bakr al-Baghdadi. 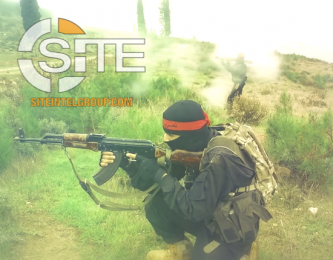 Hay’at Tahrir al-Sham released a video and photo reports depicting its fighters in a raid against the SAA in western Aleppo governorate as part of its “And Heal the Chest of the Believers” operation. 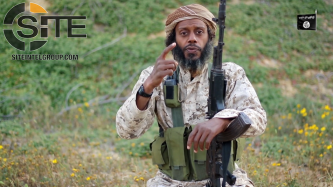 The Islamic State’s (IS) ‘Amaq News Agency released a posthumous video of the perpetrators behind an armed assault near the Saudi capital Riyadh, with a fighter asserting the attack was carried out to avenge the fallen Baghuz, Syria, and to punish the "infidelity" of the Saudi royal family. 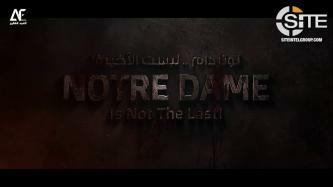 An Islamic State (IS)-linked group released a video inciting lone-wolf jihadists to burn churches in France and the West. 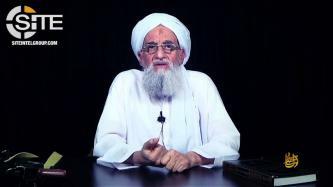 Al-Qaeda (AQ) leader Ayman al-Zawahiri delivered a religious lecture on "injustice" in the first episode of a new preaching series. 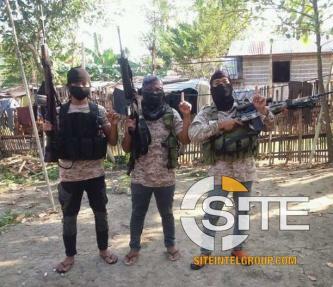 A video shared by an alleged Bangsamoro Islamic Freedom Fighter (BIFF) member on Facebook depicts militants in a clash with the Armed Forces of the Philippines (AFP) in Maguindanao. 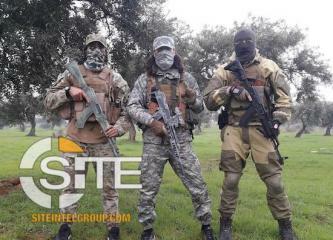 A Hay’at Tahrir al-Sham (HTS)-aligned Chechen group published two further videos in its series featuring fighters participating in military training. The Diyala division of the Islamic State's (IS) Iraq Province released a video documenting its attacks on Iraqi soldiers and Federal Police as well as Popular Mobilization Units (PMU), and its execution of captured elements, including the beheading of a local representative as a warning to others. 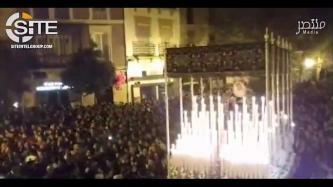 An Islamic State (IS)-aligned group called on lone wolves to mount attacks in Spain during "Semana Santa," or Holy Week. Taking on the role formerly performed by the Islamic State's (IS) al-Hayat Media Center in providing a video infographic on weekly military statistics, an IS-aligned group used the data provided in Naba 177 to craft its own version. 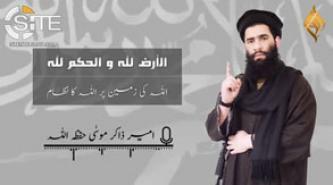 Zakir Musa, the leader of the al-Qaeda (AQ)-aligned Ansar Ghazwat-ul-Hind (AGH), decried the upcoming Indian general election in Jammu and Kashmir and attacked attempts by India and Pakistan, under U.S. "patronage," to end jihad in the region. 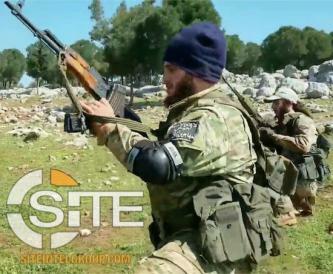 A Hay’at Tahrir al-Sham (HTS)-aligned Chechen group published a two-part video featuring a dozen fighters participating in military training. Hay’at Tahrir al-Sham (HTS) executed an alleged Islamic State (IS/ISIS) member in Idlib accused of spying on the group and killing one of its fighters. The Afghan Taliban released a video showing the physical and explosives training of its fighters at a camp in Nangarhar, in eastern Afghanistan. A video from Hay’at Tahrir al-Sham (HTS) documents its elite forces participating in a variety of military training exercises. 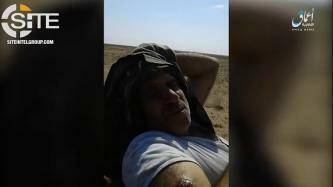 The Islamic State's (IS) 'Amaq News Agency released a video of fighters in possession of the corpses of two Russian military officers and a live Syrian POW, in the Homs desert.